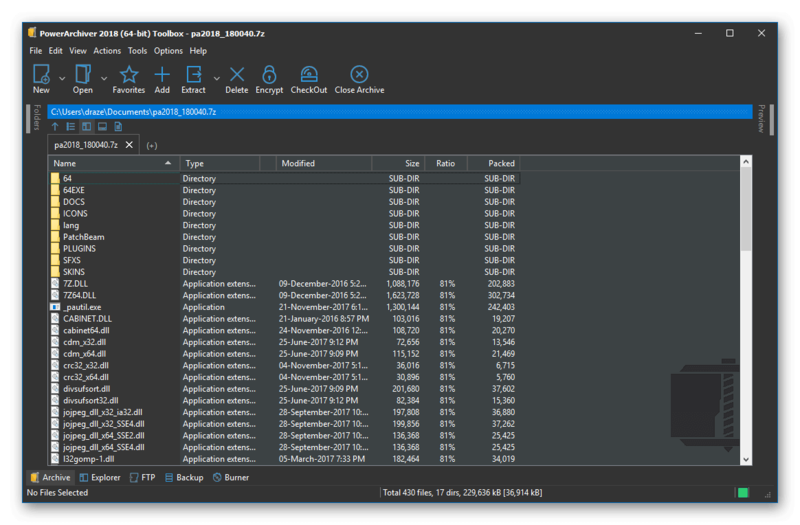 We are pleased to announce the PowerArchiver 2018 release, the fastest PowerArchiver ever! 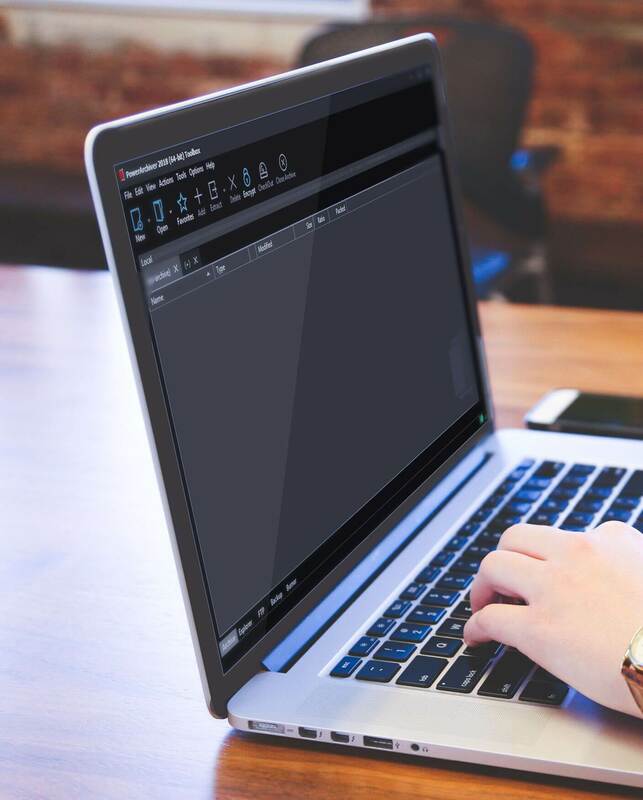 After introducing the best compression format on the market – Advanced Codec Pack (.pa), in 2017, we went back to the basics and thoroughly optimized PowerArchiver to provide fastest experience ever. PowerArchiver 2018 is the fastest version of PowerArchiver ever released. 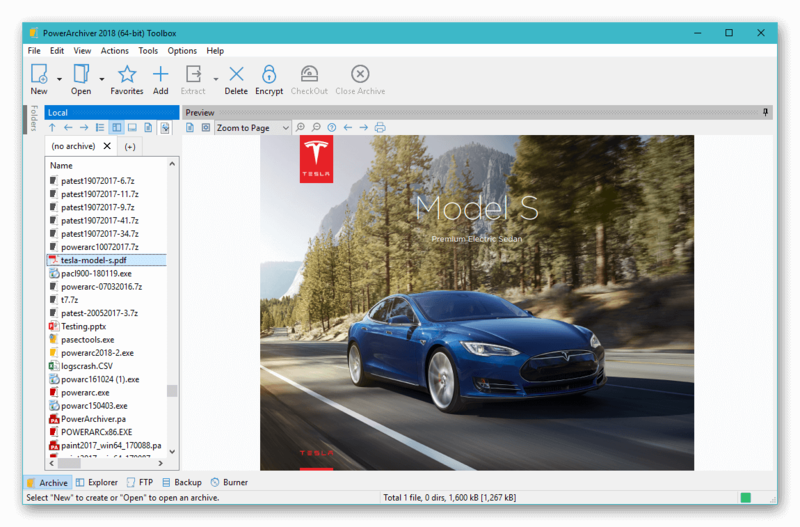 We also added brand new ZIP deflate engine (multicore optimized, unlimited cores), new Microsoft Ribbon GUI (optional), new PDF viewer, multiple tab support and so much more. Thanks to the optimizations and to the use of Microsoft Windows Ribbon framework, Modern UI option is back! In 2017 we had to remove Modern UI option due to the new 64-bit version that made everything a bit slower, and PA would load simply too slow on older computers. Thanks to the optimizations and to the use of official Microsoft Windows Ribbon framework, startup speed has been optimized and now it starts as fast as 1s. We also added beautiful new icon pack to be used with Modern UI. Modern UI adapts to the Windows version you have, so it will look different on Windows 7 vs Windows 10. Default option is still Classic UI, but now completely reworked for 2018. All new Classic UI is simplified and optimized for maximum startup speed, as well as minimum memory usage. Speed optimizations made PowerArchiver 2018 the fastest PowerArchiver in history – it is up 3x faster than PowerArchiver 2016 and 2017, and even faster than old versions like 2009. You will notice the difference when you start PowerArchiver, it now loads faster than 1s on modern computers (fastest we measured was 0.5s). As the result of optimizations, even shell operations are faster (0.3s) and it also takes 2x less RAM when in use. If you are bored of classic interface, you can use our new skinning system to get all black look, office dark/white look or any of our 10+ available skins that add a bit of color to classic interface. There are also 3 options for toolbar icons that can be changed independently from skins. More skins are showcased on our skins website here. We reworked our ZIP engine, which now includes strongest zip compression possible, supported by official Windows 7/8/10 zip tools (standard deflate codec). Up to 7%-8% better compression than before while maintaining full compatibility with every single ZIP utility on the market. New engine will use all of your cpu threads available and is multi-core threaded by block, not file, so even single file will be sped up considerably. This gives it maximum speed possible with new 16-24 thread processors. Previous engine is now at Fast and Fastest speed levels, with speed also improved up to 2x on large files. Compared to the competition, it is faster than WinZIP at similar compression levels, and much stronger than WinRAR. Built in PDF viewer has been a #2 requested feature ever since Microsoft started changing things in Windows 8, when it comes to reading PDFs inside PowerArchiver. As you have requested, we have now added a special internal PDF viewer that is fast and allows you to view and print PDFs without any additional pdf tools installed. Quick and efficient, all that you need for PDF viewing and printing. PowerArchiver 2018 has multiple tabs support for opening several archives in the same interface. This enables easy copy and pasting between the archives, and lets us minimize your memory usage significantly. By the default, when you open multiple archives, they will be all automatically added to the tabs of same PowerArchiver interface. Advanced Codec Pack (.pa) – Improved! Best and strongest compression format is constantly improved. After the September 2017 update that increased compression for large files, we have now added better mp3 and jpeg codecs. Try the PA format for yourself and see how much better it is than zip, zipx, rar and 7z. 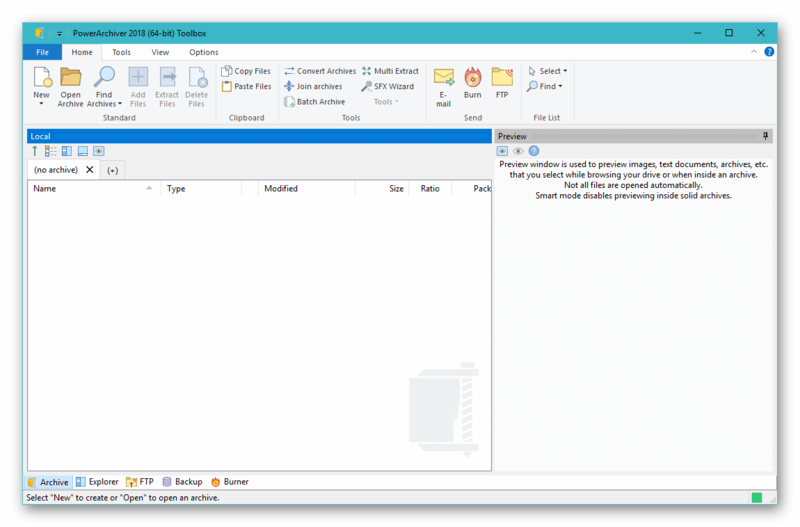 Advanced Codec Pack (.pa) has special codecs for docx, pdf, mp3, jpeg, exe, text and many other file types, that will automatically give you better compression than anything else on the market. It will also do block based file deduplication and provides strongest security currently available in archivers, with BWTS + 256 bit AES encryption, using FIPS 140-2 validated encryption components. 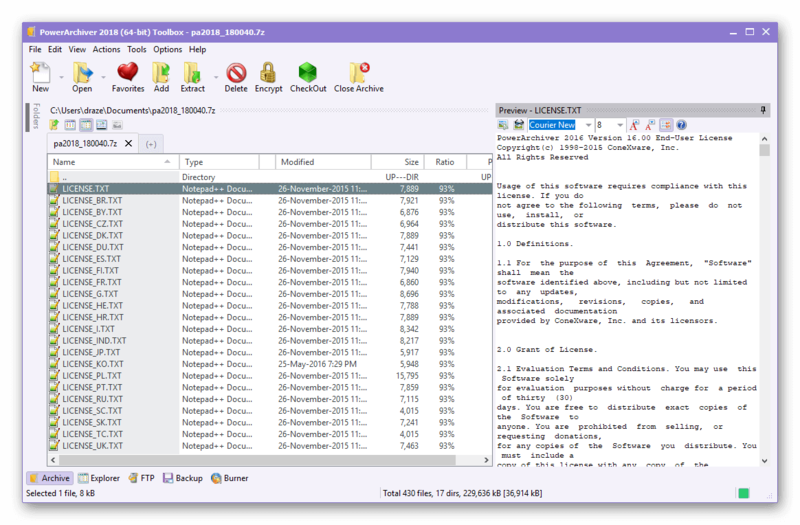 SecureFTP Improvements – SecureFTP client has been thoroughly updated for more reliable performance and nicer icons. 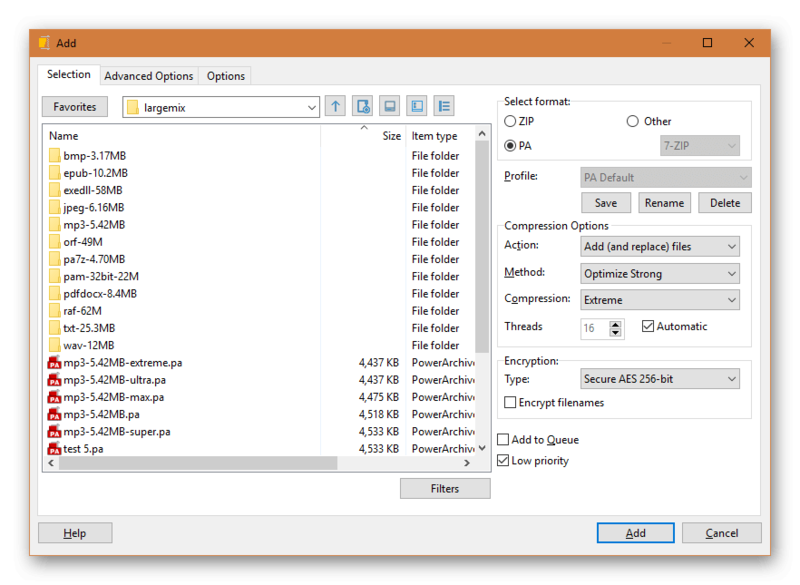 Backup, Burner, Encryption Improvements – Various small changes, enhancements to the Backup, Burner and Encryption suites. New open/save windows – Now using more modern Windows 10 Open/Save windows that allow for easier searching for files/folders. Usability improvements everywhere – Added filters to the Add window, Favorite folders can be defined and accessed through various Add/Extract windows. 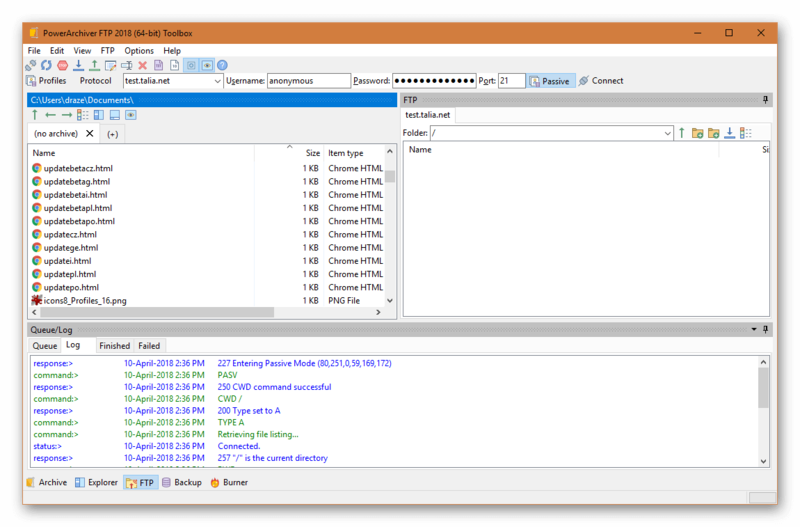 Join Tool – Added Join tool that will merge several archives into one. Added Deflate64 compression to the ZIP engine, for slightly stronger compression. Improved Portable version – Improved portable version, both x86 and x64 available. No need for installation, super fast startup and many tools in one simple to use portable package. Requires no installation, saves all settings and even has support for shell extensions (unique)! Smoother installation and updates system. Update patches can be as low as 300 kB. Great 64-bit version used by default via single installer, recommended by default and used by most users. Improved support for older 32-bit systems such as Windows XP and 32-bit Windows 7. Hundreds of other smaller improvements and changes, based on user feedback. Improved Enterprise installations (.MSI) – now package offline help file inside, without need to install it separately anymore. 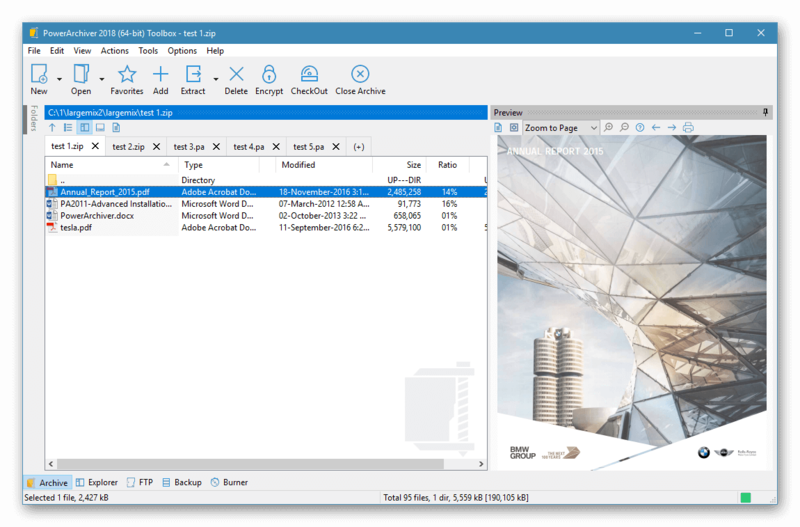 PowerArchiver 2018, with the Advanced Codec Pack (.PA), is now available from our download page as well as Patchbeam for existing PowerArchiver users. Thank you for your support since 1998! Previous Post PowerArchiver 2018 - 18.000.46 - RC3 released! Next Post PowerArchiver 2018 - 18.000.48 is out together with Windows Installer setups (MSI).